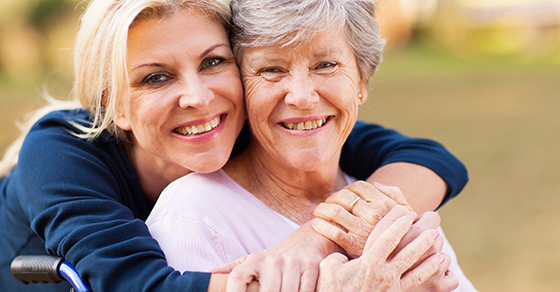 It’s not uncommon for adult children to help support their aging parents. If you’re in this position, you might qualify for the adult-dependent exemption. It allows eligible taxpayers to deduct up to $4,050 for each adult dependent claimed on their 2016 tax return. Even though Social Security payments can usually be excluded from the adult dependent’s income, they can still affect your ability to qualify. Why? If your parent is using Social Security money to pay for medicine or other expenses, you may find that you aren’t meeting the 50% test. Don’t forget about your home. If your parent lives with you, the amount of support you claim under the 50% test can include the fair market rental value of part of your residence. If the parent lives elsewhere — in his or her own residence or in an assisted-living facility or nursing home — any amount of financial support you contribute to that housing expense counts toward the 50% test. Sometimes caregivers fall just short of qualifying for the exemption. Should this happen, you may still be able to claim an itemized deduction for the medical expenses that you pay for the parent. To receive a tax benefit, the combined medical expenses paid for you, your dependents and your parent must exceed 10% of your adjusted gross income.